ประเภทสินค้าของ เครื่องเจาะจาน เราเป็นผู้ผลิตเฉพาะจากประเทศจีน เครื่องเจาะจาน เครื่องเจาะจาน ซัพพลายเออร์ / โรงงานขายส่งที่มีคุณภาพสูง ผลิตภัณฑ์ของ เครื่องเจาะ CNC R & D และการผลิตเรามีบริการที่สมบูรณ์แบบหลังการขายและการสนับสนุนทางเทคนิค มองไปข้างหน้าเพื่อความร่วมมือของคุณ! Make decision of using half of work platform or the whole according to the size of processing work-pieces. Using the whole platform, the work-piece should be put on the processing position close to the clamping cylinder locating side, step two pedal switches, clamp the work-piece and start processing. 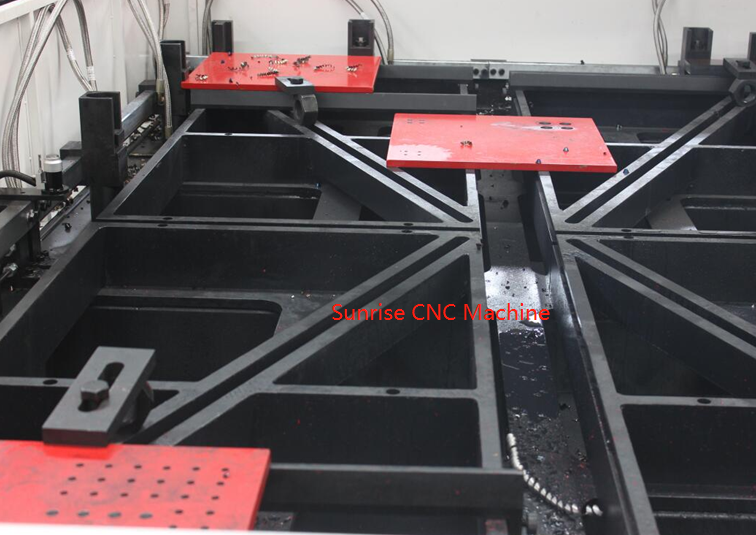 Using half of work platform, the work-piece should be put on the front or back processing position close to the clamping cylinder locating side, step the corresponding pedal switch and start processing. Rolling speed can be set according to diameter of dill and other relevant information. 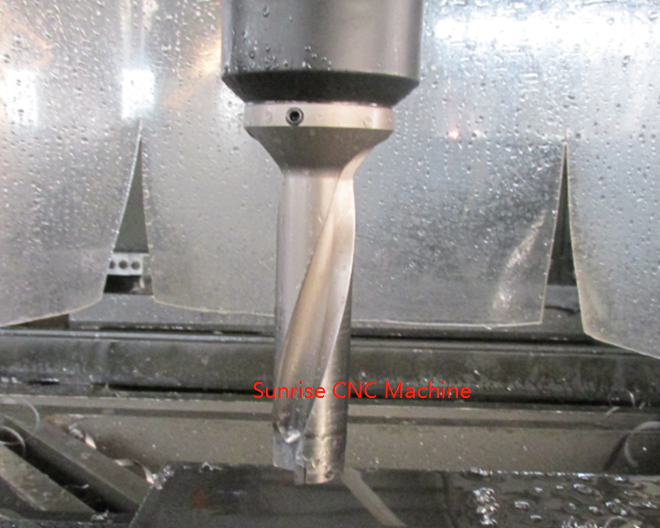 The program will calculate out the rotation speed automatically according to the dill bits diameter and cutting speed. Feeding speed can be set according to drilling manual or experiences. 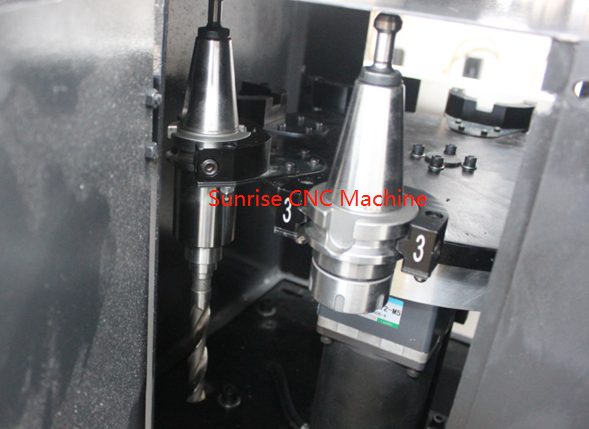 The speed of this machine has been set according to the diameter of drill bit. Users can adjust it flexibly according to the actual use. For specific adjustment method, please refer to computer programming instruction. When all factors meet the condition which self-running need, the "Ready" indicator light on. 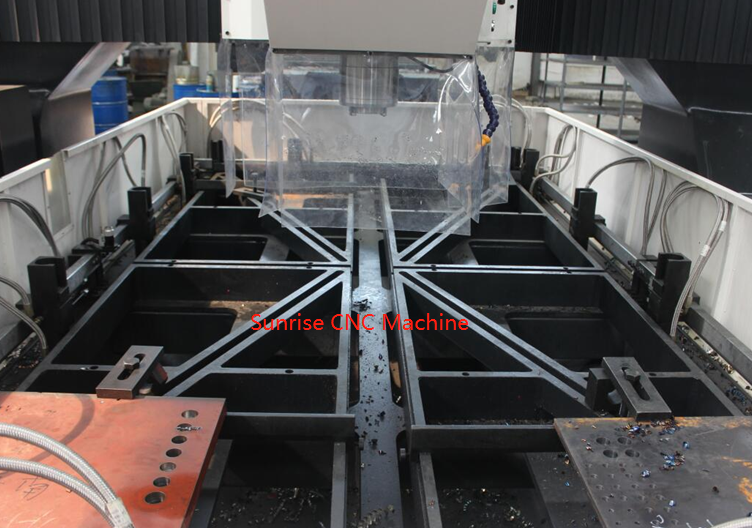 Put "start" button, the machine will run automatically and process work-pieces meeting requirement. This machine has two platforms. When one is processing, the other can be mounting and dismounting. 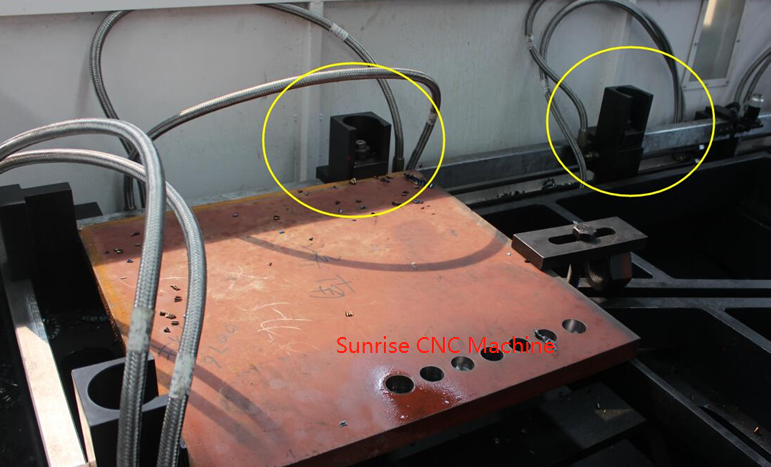 The clamping and loosing of work-pieces is controlled by pedal switch. 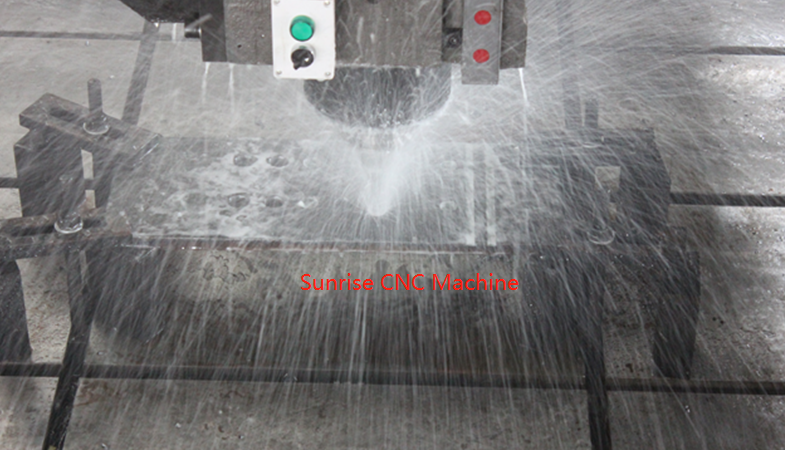 It will realize continuous processing, improve efficiency and save time.